One of the most widely watched False Claims Act cases filed against a hospital is quietly approaching an end—Florida's Halifax Health is preparing to pay $1 million to settle an alleged $73 million Medicare overbilling case. Maximum damages in the trial, which had been scheduled to begin July 8, could have exceeded $200 million, which would have come on top of an $85 million settlement that the public health system in Daytona Beach, Fla., paid out in March to settle the first half of the case. The $1 million settlement won't become official until the Justice Department signs off on it this month, court records say. Since the beginning of the case, Halifax officials have maintained they never knowingly admitted patients to more expensive services than were justified by the medical evidence at hand. Hospital officials declined to comment on the case Monday. Halifax's former compliance director, Elin Baklid-Kunz filed the whistle-blower lawsuit. She was scheduled to testify at the trial this month that Halifax recklessly admitting patients for expensive inpatient procedures more than 21,000 times. The whistle-blower said all of those cases should have been billed as cheaper outpatient cases, and hospital executives ignored clear evidence of the systemic overbilling. The hospital was accused of collecting about $73 million in Medicare reimbursements it didn't deserve between 2002 and 2013, the 5-year-old lawsuit says. Maximum penalties under the law could have tripled that amount. Baklid-Kunz' case, appeared to have fallen apart July 1 when U.S. District Judge Gregory Presnell in Orlando ruled that the inpatient-upcoding she alleged did not necessarily make the claims “false” as defined in federal law. 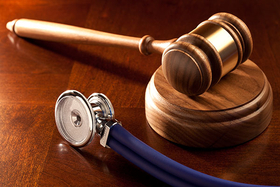 The False Claims Act makes it illegal for hospitals to submit inaccurate bills to Medicare. However, Presnell ruled July 1 (PDF) that it doesn't necessarily trigger the False Claims Act to bill Medicare for cases in which the medical record lacks “enough information to jusify admission” for inpatient care. On July 2, Halifax and Baklid-Kunz agreed to settle the lawsuit for $1 million, court records say. Justice Department lawyers revealed the settlement amount in legal filings Friday afternoon. Presnell has given the government until July 21 to sign off on the settlement, which is required under the terms of the False Claims Act.